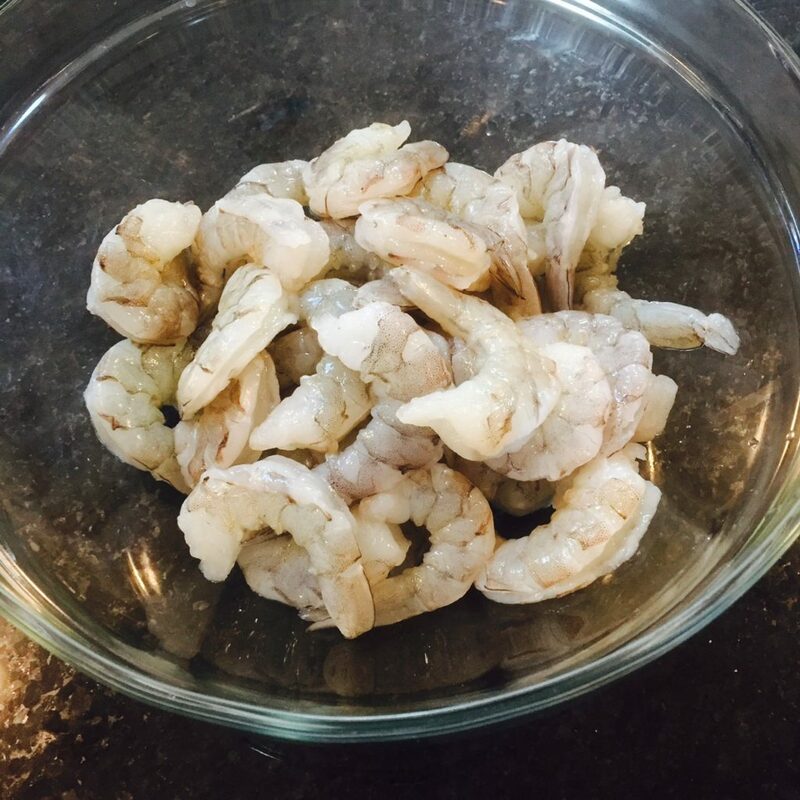 Here’s a super simple and incredibly flavorful summer dish for you-Roasted Shrimp. 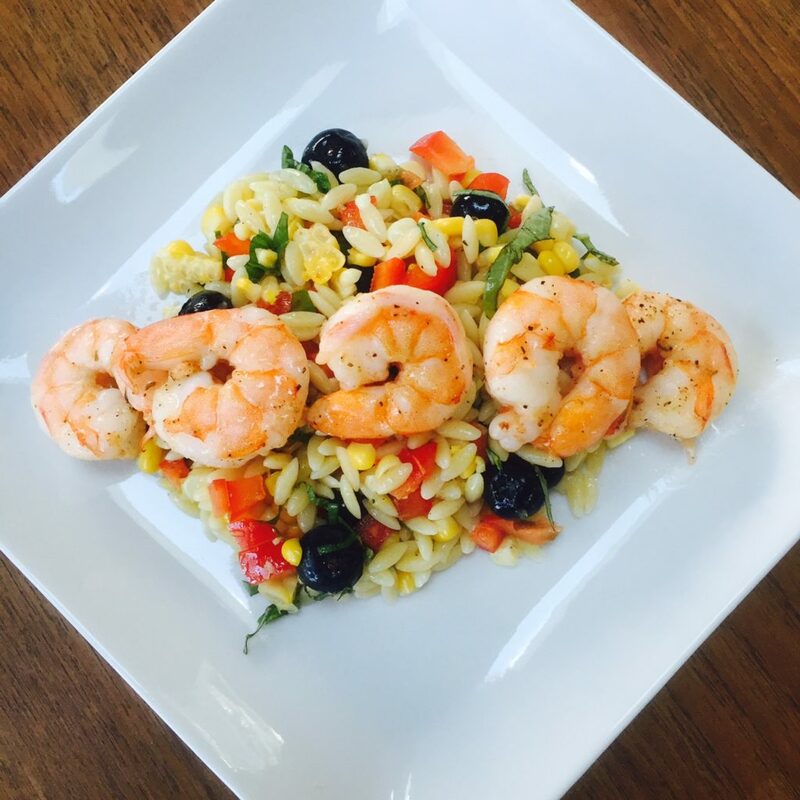 I served it with a simple orzo salad and it made a perfect light weeknight meal. To get started, preheat the oven to 375 degrees. Peel and devein one pound of shrimp. Dry with a paper towel and place in a bowl. Add 1 tbsp salt, 1 tsp pepper, 3 cloves minced garlic and 2 tbsp. olive oil. Toss well so all the shrimp are coated. 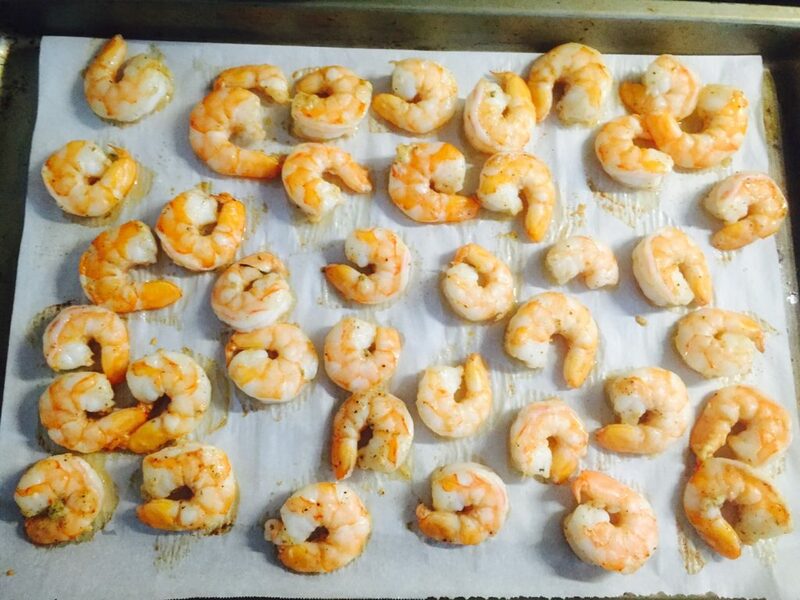 Spread the shrimp out evenly on a baking sheet lined with parchment paper. 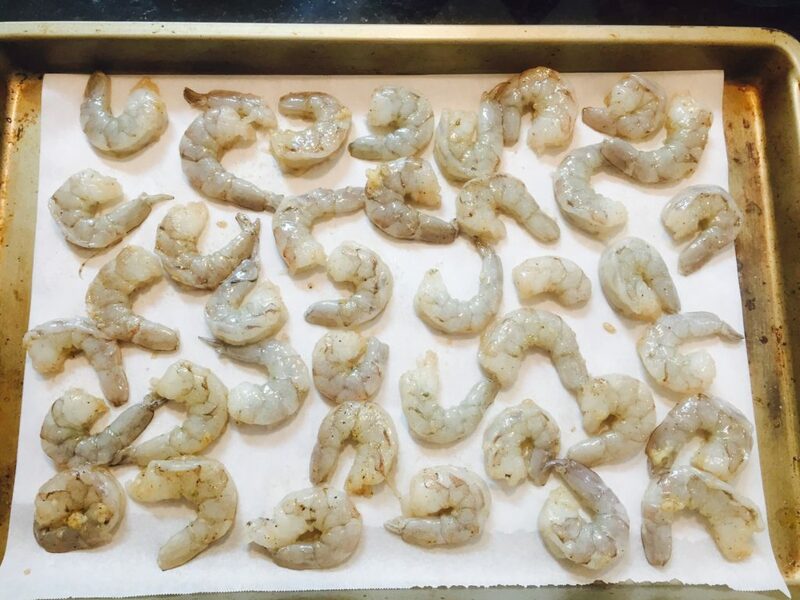 Roast the shrimp in the oven for 8-10 minutes. Allow to cool and serve! I also use these for fajitas, with cocktail sauce as an appetizer, and with grilled vegetables. How do you enjoy shrimp? I can attest that this is so good! Thank you Katrine for keeping the Moore’s feed! So nice of you! I will definitely be making this again! Love the textures. So glad you enjoyed it! Hope to get over there soon! I want the orzo salad recipe too (sorry if you’ve already posted that one). This looks delicious. Never thought to roast shrimp. It’s super easy. Just cook the orzo. Whisk together the juice of one lemon and 2 tbsp olive oil with fresh dill, (or whatever herb you like) salt, and pepper. Chop up your favorite veggies and add them in. I’ve been digging red bell pepper, fresh corn, celery, and blueberries. Tomatoes and cucumber work well too. Enjoy!